Here's how to clear cache data if your Sonim XP 5 runs slow, crashes or resets, or apps freeze. Here's how to update apps on your Sonim XP5. Discover how to send a video message using your Sonim XP5. Learn how to remove a text from your Sonim XP5. See how to forward a text message using your Sonim XP5. Learn how to reply to a text message on your Sonim XP5. 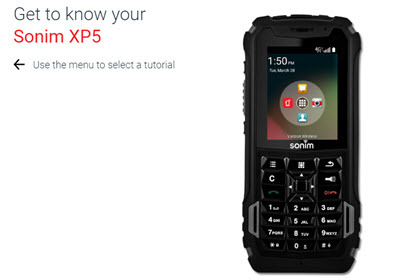 Find out how to send a text message using your Sonim XP5. Find out how to send a text message to a group of your contacts from your Sonim XP5.